The TOMODACHI Initiative and Honda Motor Co., Ltd (“Honda”) have launched the TOMODACHI Honda Cultural Exchange Program, which sends high school students from the disaster-affected Tohoku Region to the United States for a two week cultural exchange program where they learn about U.S. traditions and culture through music. The students will visit the Los Angeles area in California and will have the opportunity to participate in the Rose Parade, experience a homestay, and visit American businesses and a high school. From December 26, 2016 to January 9, 2017, twenty high school students from Fukushima prefecture participated in the TOMODACHI Honda Cultural Exchange Program 2017 in Los Angeles, California. Generously funded by Honda Motor Co., Ltd., this two-week long cultural exchange program began in 2015 to provide opportunities to Tohoku high school students who suffered from the Great East Japan Earthquake. During the program, the students experienced American tradition and culture through exchanges with local students and the U.S. military, participated in volunteer activities and had a homestay opportunity. 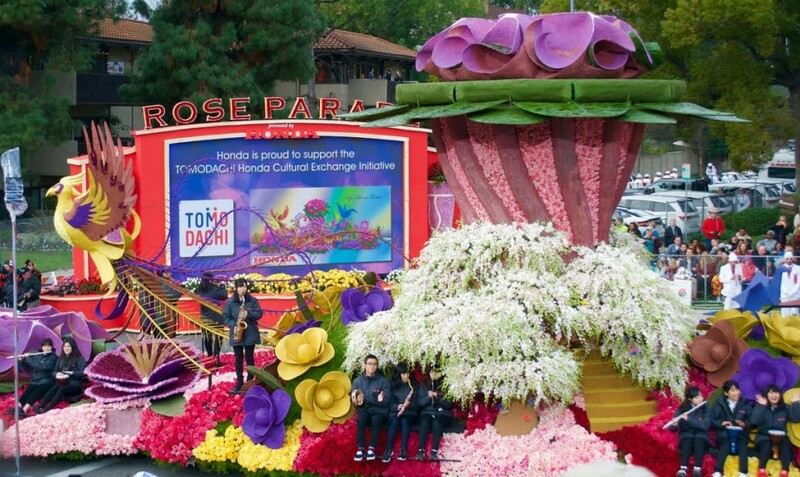 As the highlight of the program, the students participated in the historic Rose Parade sponsored by American Honda Motor Co., and performed an original musical piece with Grammy award winning musician Daniel Ho, during the iconic American New Year’s tradition. 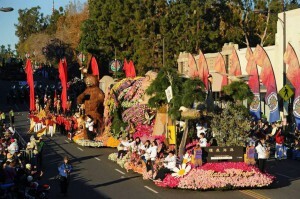 In addition, the high school students decorated the float exhibited by American Honda for the Rose parade. The float was created with designs that incorporated the phoenix and Japanese crane, integrating American and Japanese cultural concepts with “peace” as the underlying theme. 2016 TOMODACHI Honda Cultural Exchange Program will send 20 Japanese high school students from the disaster-affected prefecture of Iwate to Los Angeles, California for a two week exchange program from December 26, 2015 to January 9, 2016. In addition to homestays in the United States the students will visit a local high school and several corporations. 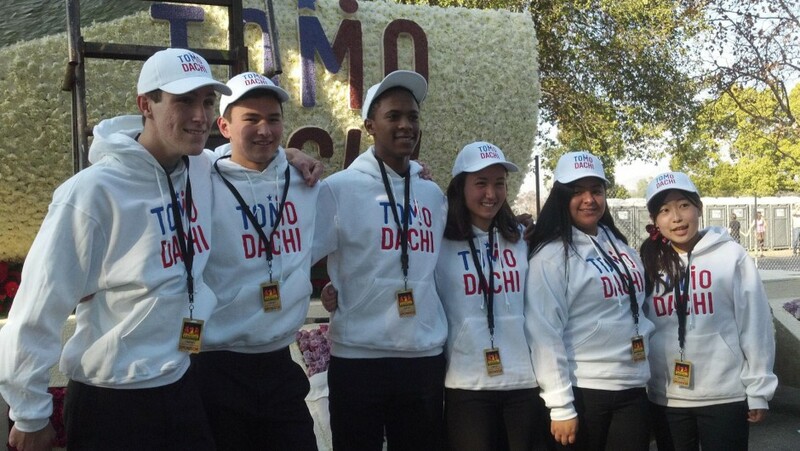 They will also participate in an iconic American New Year’s tradition, the historic Rose Parade sponsored by American Honda Motor Co., Inc.
From December 25, 2014 to January 8, 2015 twenty high school students from Miyagi prefecture participated in the TOMODACHI Honda Cultural Exchange Program in Los Angeles, California. 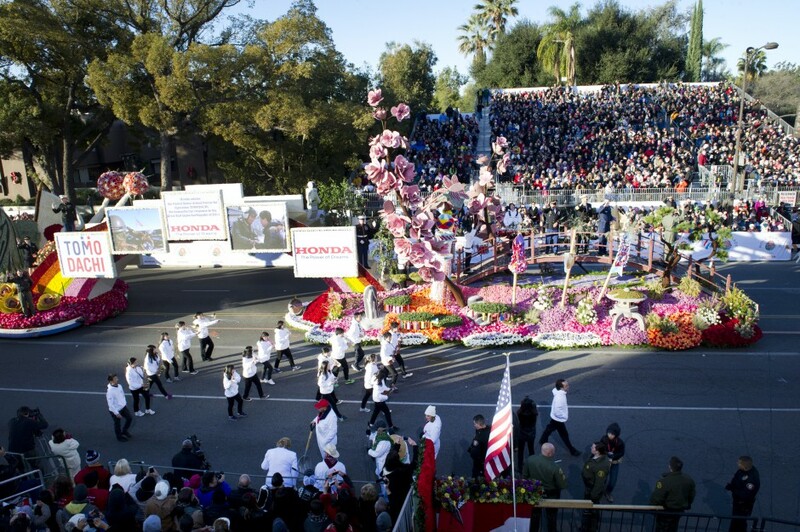 The students had an opportunity to participate as part of the lead float in the Rose Parade on New Year’s Day, a parade which usually draws 700,000 onlookers and more than the 55 million television viewers from around the world. Each of the students brought items from their hometowns in Tohoku to display as part of the Japan-themed float. The students also experienced homestays with local families, visited American companies, explored the University of California, Los Angeles campus, and engaged with local high school students.